We recently crafted a custom veneer for this beautiful solid wood dining table. The veneer was cut from the very popular American black walnut and quarter cut for a wonderful straight and even grain effect. 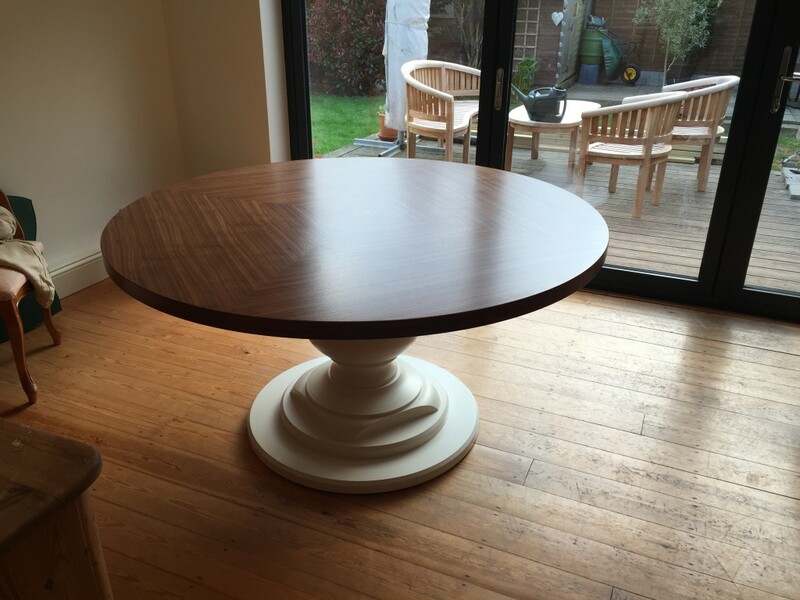 Quarter cut veneers offer a higher level of durability and so are ideal for dining tables. You can read more about quarter cut American black walnut and how it lends itself so well to a wood veneer finish on one of our previous posts.